The experts discuss the IRS Scam. 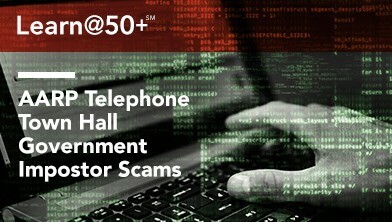 The experts answer a question about prosecution for scammers. The experts address Caller ID spoofing. AARP Mississippi held this Access Live Event to discuss fraud prevention and new scams with members. The event featured AARP Fraud Prevention Program Director Kathy Stokes, Associate Special Agent in charge of Treasury Inspector General for Tax Administration Group John Kirk and Barrie Carpenter who is a Public Affairs Specialist for Social Security Administration. Topics of discussion included law enforcement scams, how to detect them and what to do if you think you are being scammed.